hunt kastner is pleased to present the first solo exhibition in the Czech Republic of, Ewa Partum, a key precursor of conceptual art and the development of a feminist discourse in the visual arts in the former Central and Eastern Europe. 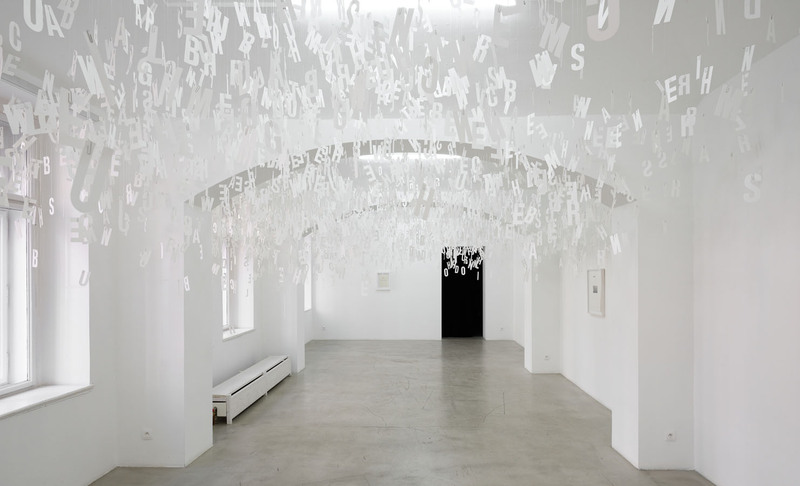 The series of works shown at hunt kastner focuses on the artist’s linguistic activities and the “materialisation of language” throughout her work over the years, and includes a new active poetry work made specifically for the Prague exhibition: “Letters to Milena, Franz Kafka”, made up of over 3000 white carton letters taken from an excerpt from the book and suspended from the ceiling. Ewa Partum practices art in the form of documented actions, ephemeral and linguistic interventions and works on and with paper. Her practice developed in a dialogue with the Polish constructivist tradition of engagement between the visual arts and poetry. 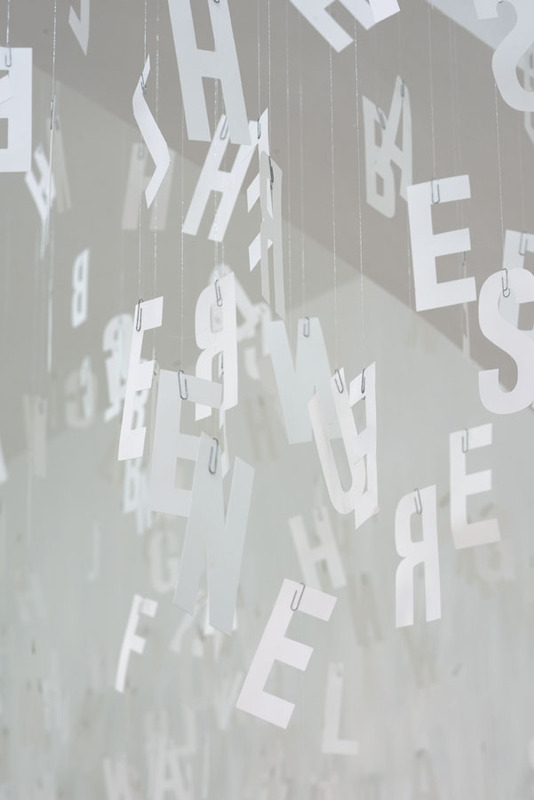 In the mid 1960’s, Ewa Partum brought the discourse on experimental poetry into the field of visual arts, moving beyond pure deconstructive gestures which had lost their radical potential. 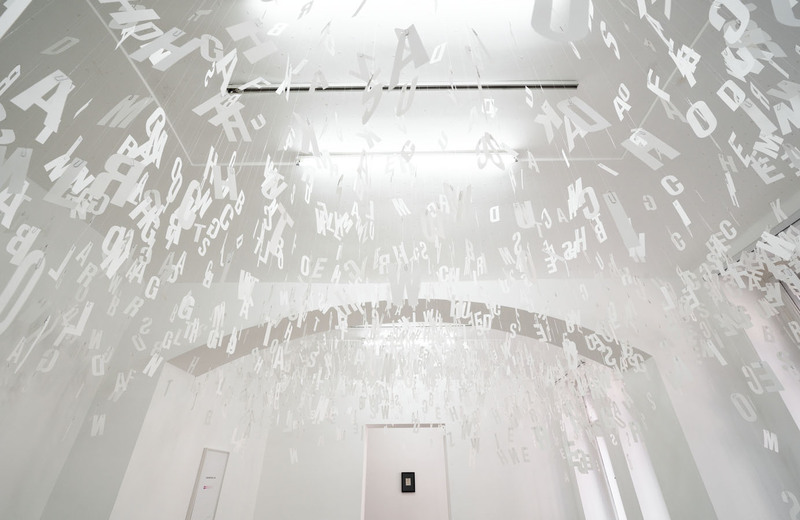 The artist did not, however, simply consider a page of paper and a gallery’s space as complementary mediums of art presentation, but rather she was interested in juxtaposing both conventional standards – linguistic and visual – of “intellectual notation”. 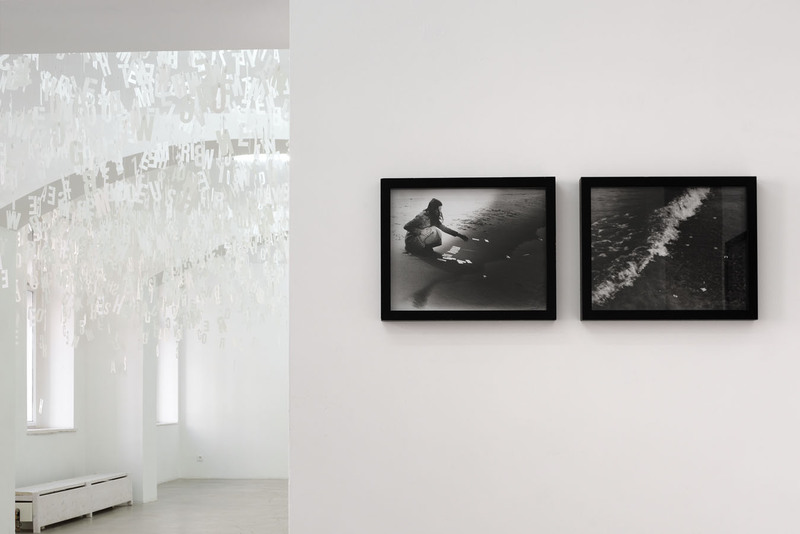 At the same time her works that problematized the position of the speaking subject overcame the constraints and revealed paradoxes of the local conceptual discourse, becoming a critical response to the conceptual non-identity. 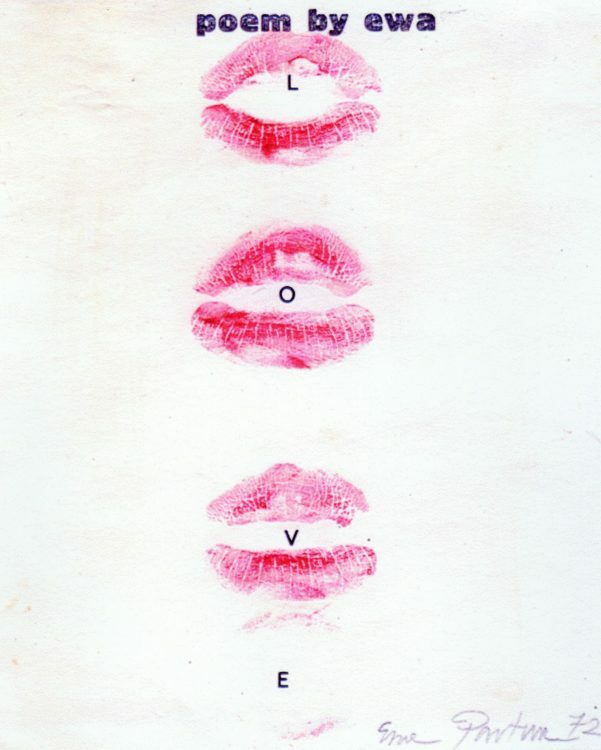 The imprint of Partum’s lips in the poems by ewa, a series she has been working on since 1971, constitutes the indexical mark of the subject. It is also a sign in an alternative private language, an idiosyncratic form of notation that has to be supplemented. Thus, the language of poems is hybrid and based on the tension between two possible forms of cognition. In poems by ewa, Ewa Partum juxtaposes the tactile with the textual to create an accumulative form of notation. She follows the same principal in her recent work Nothing Stops the Idea of Art (2012) where she establishes a relation between language and a material, everyday object. There are three types of texts that accompany imprints of Partum’s lips in poems by ewa: appropriated and deconstructed, de-semantised fragments of literary texts; Partum’s statements, such as, my touch is the touch of a woman; and abstract concepts such as “love” or “art.” There are also exceptions: the poem with an imprint of lips and alphabet letters and the poem with completely erased text. 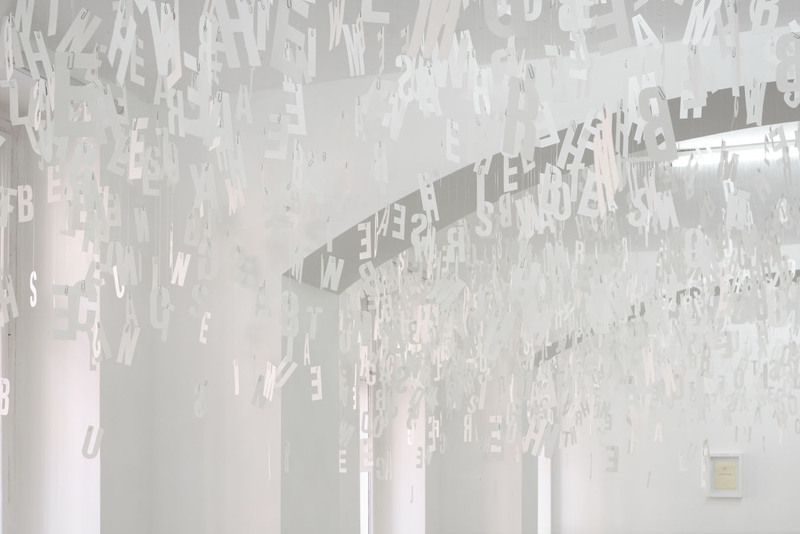 In the first of type of poems the letters are scattered on the page, as in the series Active Poetry, where the letters are dispersed in the physical space. 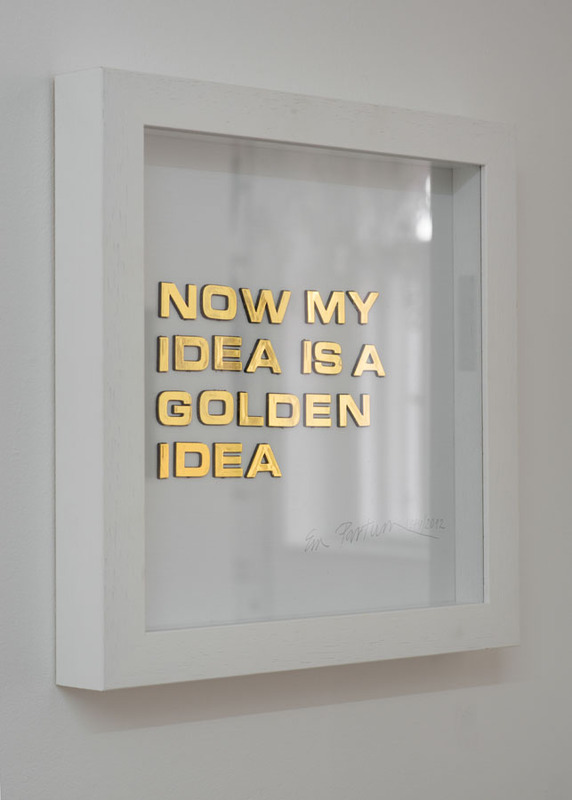 Partum’s works from the series Active Poetry are based on a repetition of self-reflective modernist texts by James Joyce or Marcel Proust, and later also philosophical texts of Immanuel Kant, combining the strategies of transgression and deconstruction. In her first action (1971), Partum draws on James Joyce’s Ulysses, published for the first time in Poland in 1969. This is a classic test-sample of self-reflective literature, described by Barthes as tautological. For Partum, self-reflective literature provided a model that enabled her to deconstruct the paradigm of representation within the visual arts without simultaneously declaring herself on the side of pure presence. 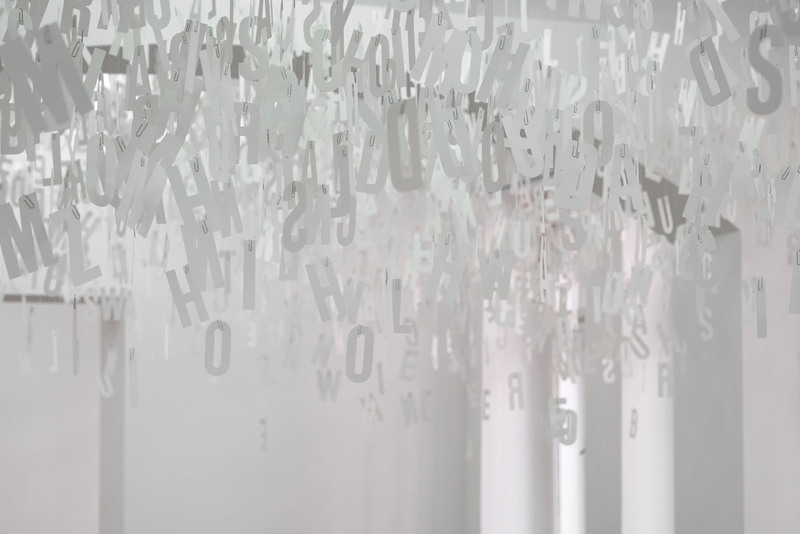 For the exhibition at the hunt kastner gallery, Ewa Partum has returned to her Active Poetry work, re-conceptualizing her linguistic action in a site specific way. On this occasion Partum worked with Kafka’s epistolary text “Letters to Milena” devoted to the translator of Kafka’s works, Milena Jesenska. 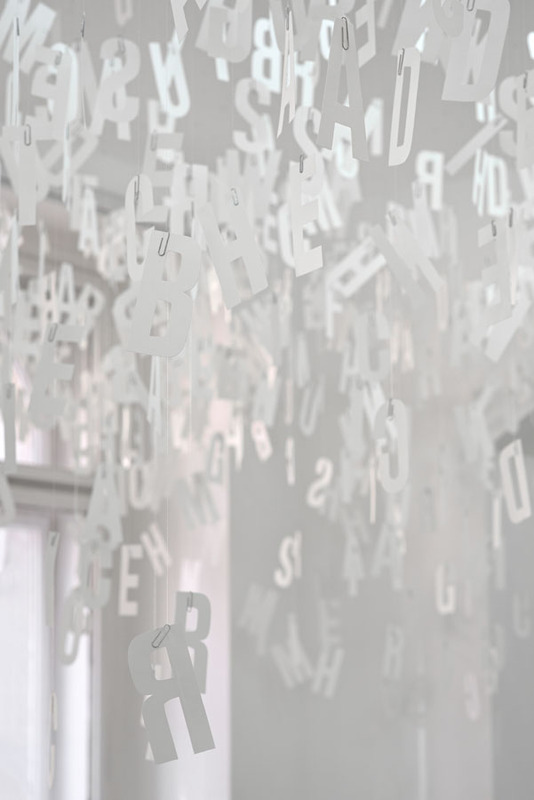 Partum too translated Kafka’s love letter but beyond the language, de-stabilizing it as text and rearticulating it in form of an object, creating a spatial palimpsest, that encompasses and re-performs a letter to Milena. 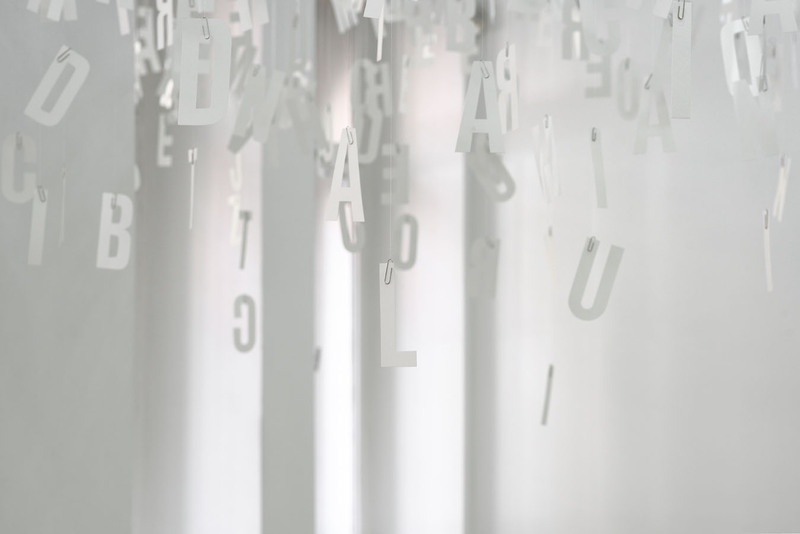 If in poems by ewa, a gesture of notation was given its material source in the form of Partum’s lips, in the Active Poetry series, Partum worked with the notion of the non-transitivity of language that has resulted in the materialisation of its individual particles. Throwing letters on a sheet of paper or on the grass was a consequence of her performative readings. 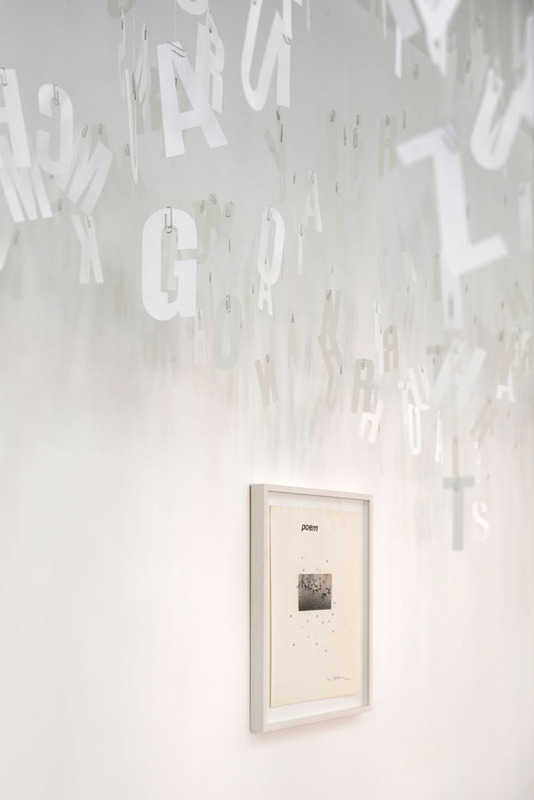 It was not an interpretation that consisted of the reconstruction of the sense imposed by an author, but rather, as in her work at hunt kastner, a re-interpretation by de-territorializing the text from the field of literature to the field of visual arts. 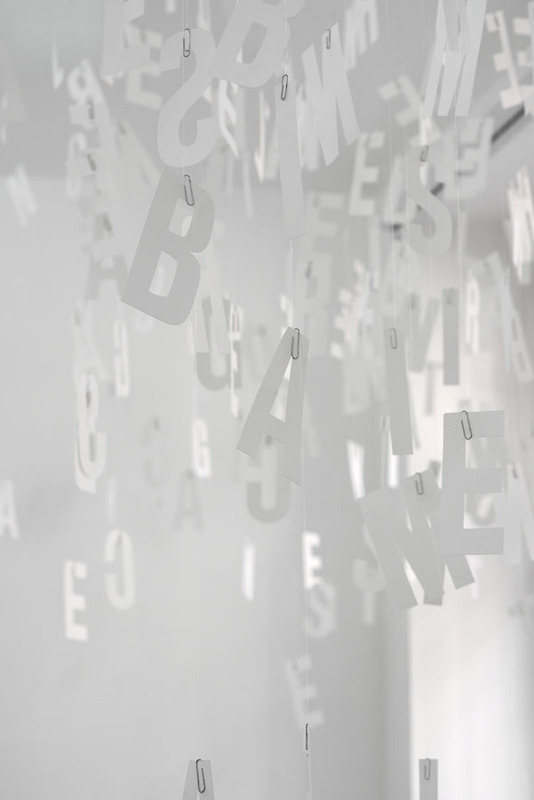 Partum was/is working with cardboard letters, a characteristic material used in communist Poland for propaganda slogans placed in schools, offices, factories etc. 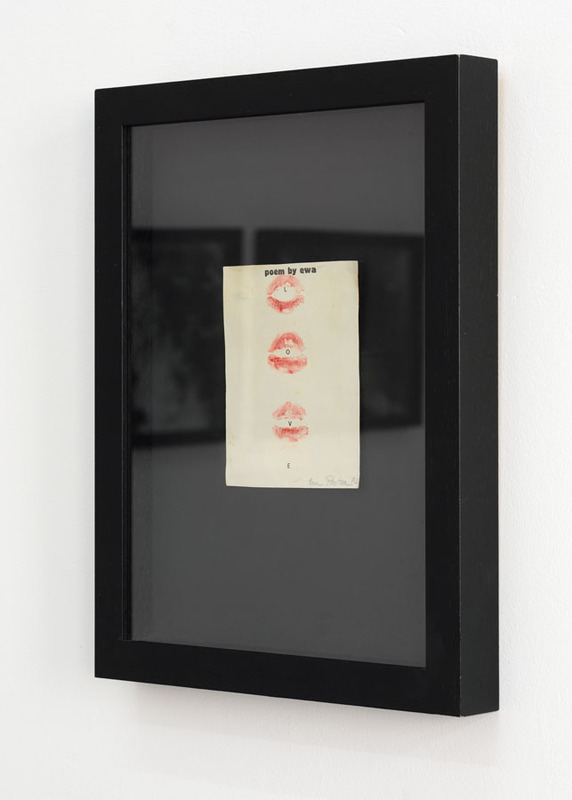 Thus in her Active Poetry actions, Partum articulated not only the postmodern impulse of destabilization of text but also the impulse of social engagement by referring to the materiality of street protest and propaganda slogans. During the process of art production followed by its recent redistribution the artist frequently rearranged material remains and documentation from her artistic actions through the mediums of installation and exhibition. 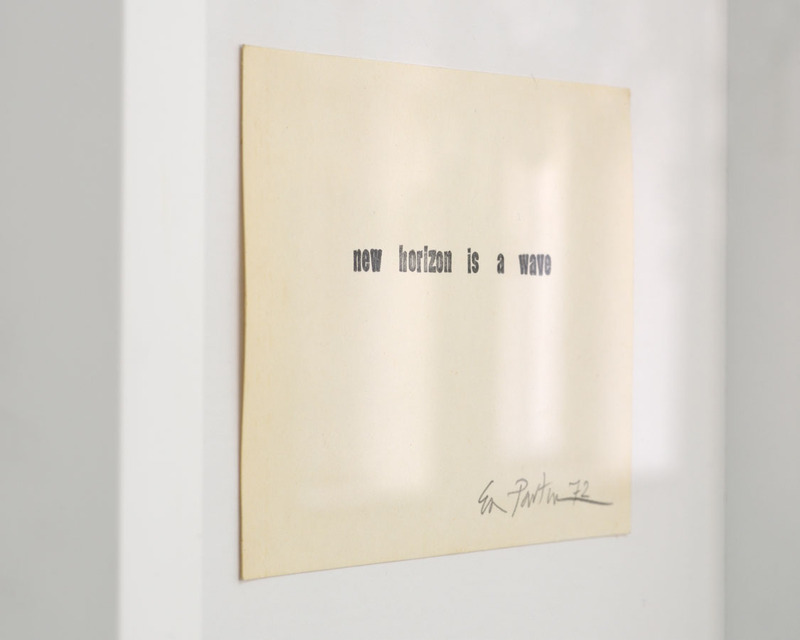 The transformation of the context (social, historical political) and new technological possibilities inspired Partum to translate some of her critical gestures and works into new formulas. 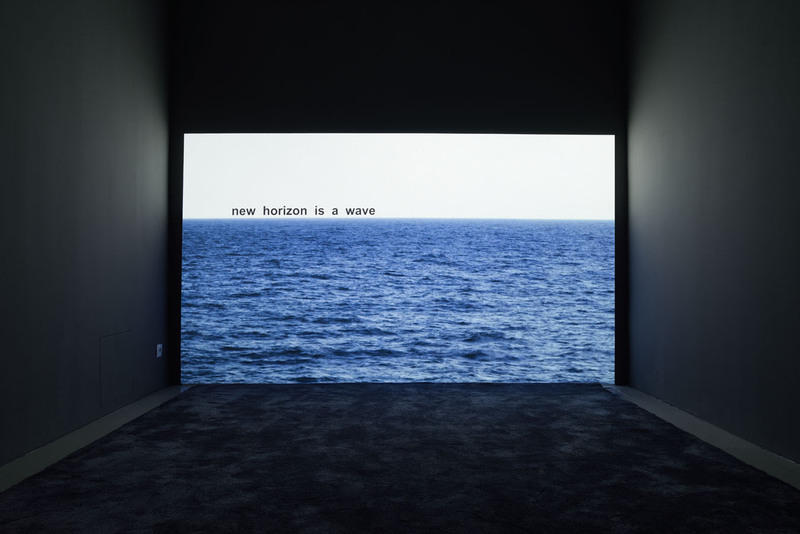 These continuities can be traced within the work “New Horizon is Wave” (1972-2016) which represents a wandering of the core linguistic component of the work through various media. At the exhibition at hunt kastner the work on paper (1972) is accompanied by recently realised one channel video installation. Here, Ewa Partum shifts her attention form the linguistic games to the affective audio-visual cluster and transform the statement about life’s momentum into a temporal experience, updating and actualising her conceptual work for the new audiences. Ewa Partum (1945 in Grodzisk Mazowiecki, PL) is considered a pioneer of Eastern European feminist art produced within the conceptual idiom. Her work belongs to two discursive formations: the historical neo-avant-garde that emerged during the sixties and contemporary art with its temporal and semantic transition before and after 1989. Partum herself established a double continuity in her work identifying her practice as conceptual (from 1965) and feminist (from 1974). Her work follows a trajectory from a deconstruction of the protocols of medium specificity to its reconstruction by introducing an active body as a visual component, an agent and constitutional ingredient of her actions and performances. Ewa Partum has participated in many individual and group exhibitions in recent years, including: Jesteśmy at Zachęta National Gallery of Art in Warsaw (1991); Wack! 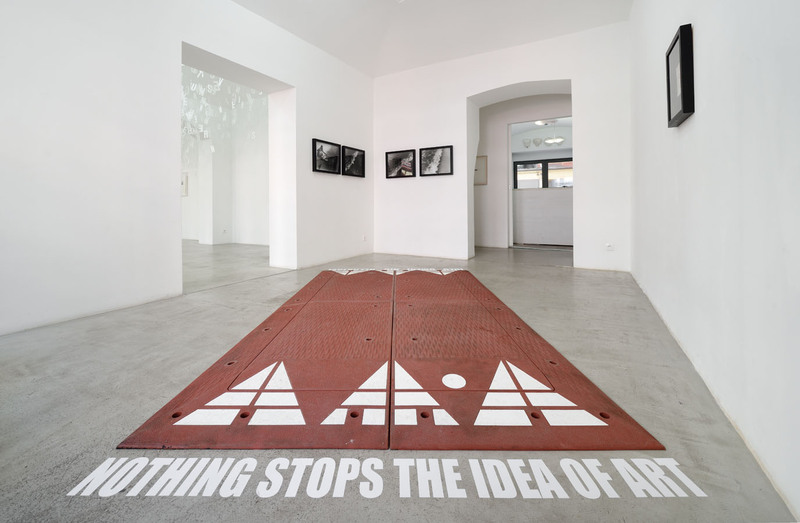 Art in the Feminist Revolution at MoCA Los Angeles (2007); European Contemporary Art Biennale Manifesta 7 in Italy (2008); re.-act. – feminism – performance art of the 1960s and 70s today at the Akademie der Künste in Berlin; REBELLE. Art and feminism 1969-2009 in Museum voor Moderne Kunst in Arnhem; Gender Check. Feminity and masculinity in the art of Eastern Europe in the Museum Moderne Kunst in Vienna (2009); Promesse du passé in the Centre Pompidou in Paris (2010); Intense Proximity, La Triennale at the Palais de Tokyo in Paris (2012); 18th Sydney Biennale (2012-13); Bigger Splash Painting after Performance, Tate Modern, London (2012-13); Transmissions: Art in Eastern Europe and Latin America, 1960-1980, MoMA, New York (2015-16), and currently the solo exhibition “my gallery is an idea. 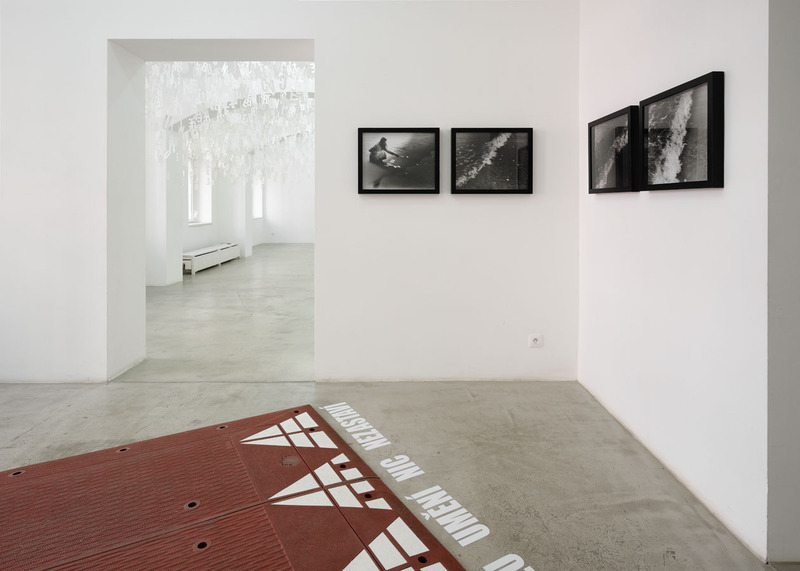 galeria adres archive” at the Studio Gallery in Warsaw until June 2nd.